According to a trademark filing discovered by The Verge, Google has a brand new podcast app in the works. The new filing refers to a tool called Shortwave, which "allows users to search, access and play digital audio files, and to share links to audio files". 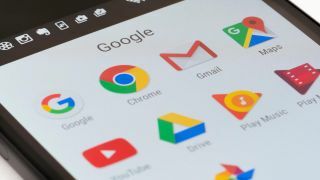 That's quite vague, but a Google spokesperson has confirmed that Shortwave is being created for "spoken word" content and has no connection to any of the company's existing apps. That includes Google Podcasts - the smart podcast recommendation app that arrived on Android devices just two months ago. Shortwave is being created within Google's Area 120 incubator - a testbed for the company's more experimental tools. Its past projects include Google Reply - a kind of chatbot for social media services that predicts your likely responses, taking the effort out of communicating with friends and loved ones. The company's spokesperson said there are no more details to share yet, but we'll be keeping a close eye out for more details - and possibly a beta version in a few months' time.